Under Emperor Charles IV and his son Wenceslas IV Prague became the capital of the Holy Roman Empire of German Nation and flourished culturally, economically and politically. Towards the end of the 16th century, Prague became again the residencial city for the court of Emperor Rudolf II and all the extravagant baroque palaces and churches date from this period. Due to the large influx of Slavs from the rural areas, the majority of the city was no longer German speaking by about 1860, although a large German population remained there (mainly in the Old Town and Lesser Quarter). After the decline of the Austro-Hungarian Empire, Prague became the capital of Czechoslovakia in 1918 and since 1989 it is the capital of the Czech Republic. 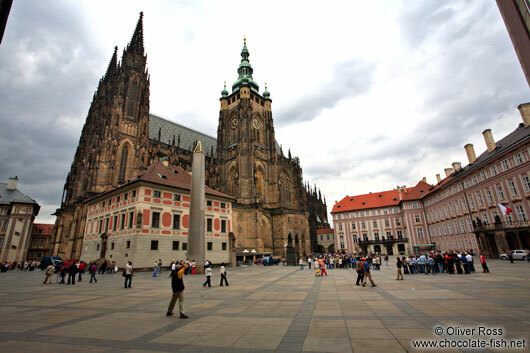 Since 1992, the historic centre of Prague has been included in the UNESCO list of World Heritage Sites.